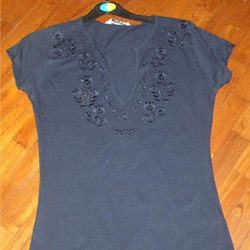 Our valued customers can avail from us exclusive Knitted Designer Tops as per their preferences. These tops are made available to the clients in different colors, designs & patterns, in order to meet the market demand efficiently. Besides, we are efficient in offering custom-made knitted tops to the clients, which helps us in attaining their maximum level of satisfaction.